On my work as an Agile trainer and coach I’ve met quite some good Agile developers: people that are able to collaborate with others, embrace technical excellence, spend time talking to customers and understanding their problems rather than ‘just coding requirements’, master state-of-the-art engineering techniques and stay open to new learning opportunities. I’ve also met a few great Product Owners. Usually coming from a Project Management background, they foster communication between customers and developers, keeping a common vision of the product and navigating the perils of corporate politics when it comes to project portfolio management and backlog prioritization. I’ve come to believe that a good Product Owner is sometimes all you need in order to make an Agile transformation succeed: if they can help your company build a proper, iterative and incremental, prioritized, tiny-sliced backlog, and then keep it clean and protected, it’s very difficult that you can’t be Agile. 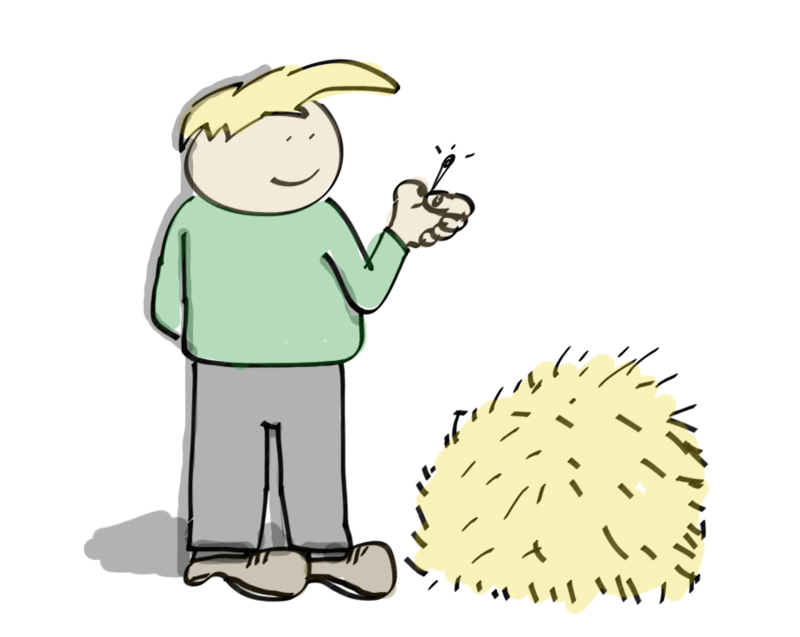 Unfortunately, when it comes to ScrumMasters, we are talking needle in the haystack. The rare combination of technical knowledge, Agile lore and off- the-chart interpersonal and human skills has no precedent in the existing workforce. Developers trying to become good ScrumMasters usually lack the soft-skills needed to coach teams and support their people. Project managers trying to become good ScrumMasters very rarely can coach their developers into better technical skills. Both developers and managers and are usually too short-term concerned to invest their team’s time into learning, growing, bonding, innovation, quality, creativity, motivation and other team-related aspects that have no immediate effect on sprint velocity or project performance. It is no wonder that ‘ScrumMaster-less Scrum’ is one of the most common ‘Scrum-buts’ that I find when assessing Agile transformations. Considering that many companies obtain great benefits from this approach, it’s even tempting to consider ScrumMasters as ‘nice to have, although optional’. In fact, several Agile frameworks like Kanban, Cristal or Lean Software Development do not prescribe a ScrumMaster or Agile Coach role – and there is no mention of these in the Agile manifesto or in Nonaka and Takeuchi’s seminal article that inspired Scrum itself. 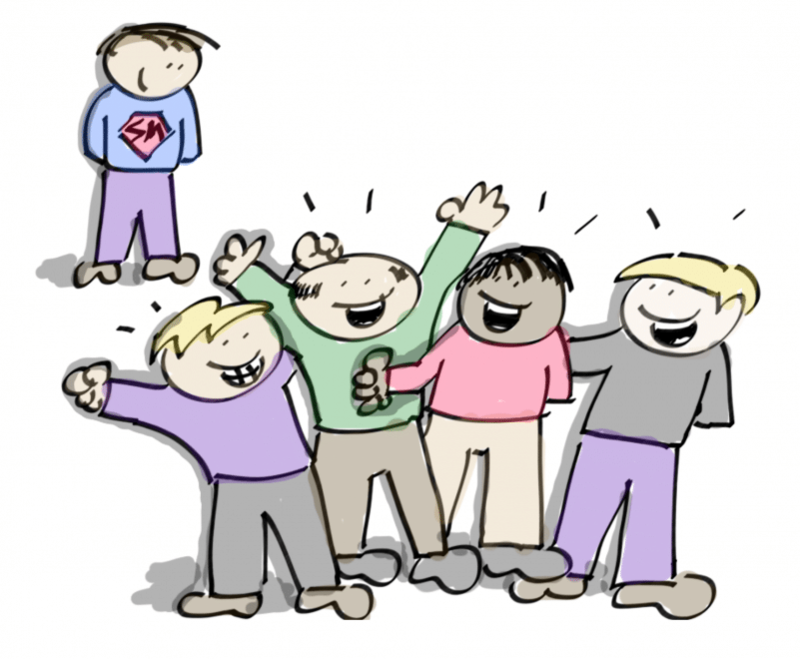 To make things worse, Scrum-bashing has become a major sport on the Agile community. With 75 to 80% of the Agile transformations based on Scrum, it never ceases to amaze me how people dismiss Scrum as ‘prescribed process’ ‘past practice’ or ‘one size does not fit all’. Some of the people who dismiss Scrum have done Scrum for a long time up to the point where they did not need any framework at all to be Agile (ShuHaRi anyone? ), but they expext other to arrive to this Agile nirvana without the years of practice they took. On the other hand, most of the people dismissing Scrum, I’m afraid, might have never experienced a successful Scrum implementation. Anyway, as some big-names or just popular bloggers and forum participants encourage getting rid of frameworks, it’s easier for Agile wannabes to think that Scrum and ScrumMasters are dispensable. Under my perspective, when Sutherland and Schwaber created Scrum they defined a core of practices that they considered the minimum to have a successful Agile transformation – not ‘implementation’, the goal here is not to pass a process checklist, but to be Agile. As I said, this is the Core, the bare minimum to claim a full-Scrum implementation. You would believe that, if ScrumMasters were optional, they wouldn’t have made it to the ‘top eight’ list. In very few ocasions – if ever – have I found people questioning the other seven items in the list. Even if you want to get rid of some of the most popular ‘barnacles’ like, for instance, the Team Board – which I’m a huge fan of – they will scream and cry as if you were reinstituting Waterfall. How come that, when it comes to ScrumMasters, people are mild about the lack of proper ones? I think there are a few reasons for this. First, there is the understanding of the ScrumMaster role. The job description is not very comprehensive: ‘does whatever it takes to make the team successful, such as removing organizational impediments, facilitating meetings or acting as a gatekeeper so no one unnecessarily interrupts the team’s work’. That’s pretty much it – few additional explanations on the Scrum core papers. The misunderstanding of this description leads companies to ask their ScrumMasters to ‘increase velocity’, ‘report project progress’ or ‘conduct performance review for team members’. them to Uncle Bob, Ron Jeffries, Kent Beck or Martin Fowler. But who would be the authoritative source of ScrumMastership for your ScrumMasters? Sure, there are some coaching resources (I would definitively recommend Lysa Adkin’s work), but that’s just part of the job, and not the only way to address it. Finally, it’s my belief that companies are having serious trouble to understand, see and even measure ScrumMaster value. Managers are asking ‘how do you measure a ScrumMaster’s performance?’. To this, I can only answer with Jurgen Appelo’s argument: tell me first how do you measure your own performance as a Manager. As for the benefits, I would quote Lao Tzu: ‘A leader is best when people barely know he exists, when his work is done, his aim fulfilled, they will say: we did it ourselves’. Unfortunately, this means that sometimes the contribution of great ScrumMasters can be obscured by the great, tangible performance of the teams they are coaching. I always remember the regent’s axiom: a leader, he said, is like a shepherd. He stays behind the flock, letting the most nimble go out ahead, whereupon the others follow, not realizing that all along they are being directed from behind. Thank you so much for reading my post, if you want to follow my work you can find me here. In this blog, I will explain what an Agile coaching dojo is an activity where coaches gather together to practice their coaching skills. This blog post presents several ways to explain what an Agile Retrospective is and what is the value to run it. Excellent post! Thanks for sharing these thoughts with us. Great post! 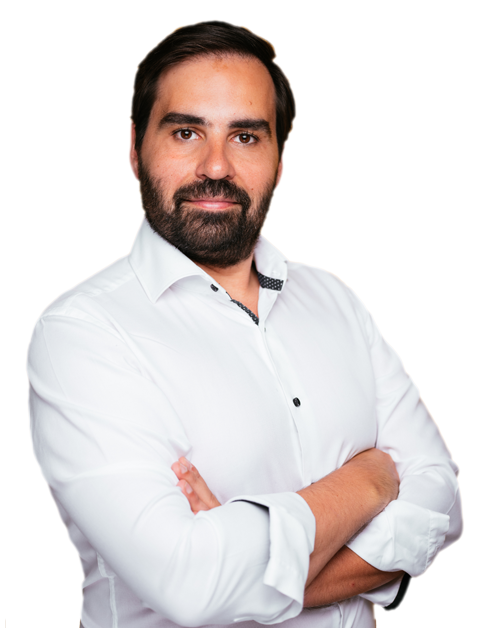 I’ve recently became the Scrum Master and your post describe exactly what about companies how companies are currently dealing with the Scrum Master role. I would see the SM as much more than a guardian of the process. I like the concept of the SM being a coach focused on building a team with great performance. For me, being a SM is not about management, it’s about empowerment. Why are experienced QA Testers considered in the list of people that have technical acumen, good interpersonal skills and organized to be scrum masters. That is what I am trying to achieve. I have many years in the Agile QA Testing world and became an CSM. And it seems difficult for any external party to see an individual like myself to carry on an Agile Team. Everywhere I look they want project managers/scrum masters, where in reality the Scrum Master should be any individual that has the proper balance in their skills, not just someone that can maintain metrics(burndown & burnup charts, etc.) As Agile practitioners we have to make sure that the Scrum Master role does not become one defined by traditional measurements and should be one of skill and leadership. Very interesting article. I actually have a very different experience to you. I find good ScrumMasters quite often, I really struggle to find good Product Owners…. You described ScrumMasters as a rare breed of technical knowledge, agile lore and interpersonal skills. I’ve worked in a number of companies where extremely talented developers and consultants have risen to become the much maligned “Team Leader”. People who were technically excellent but struggle for the time to put it into practice, are good leaders of people and have been searching for something meaningful to do. These people, once bitten by the agile bug become great ScrumMasters. I’m not from a product background and simple don’t know many good ‘product people’. I admit I’ve met a few really good project managers over the years who have the skills to be a good PO but really not many. Odd difference between our opinions isn’t it! I also found your point about “Scrum bashing” being a popular sport very interesting. Does seem the case now doesn’t it, certain individuals will roll their eyes at the mention of Scrum and assume you’re just jumping on a band wagon you don’t understand. I’m a big advocate of Scrum as a tool for people to use to get an agile transformation going. It provides a framework with lots of things in it that most likely work. That’s the other point though, Scrum does itself no favours when you hear “you must do these things or you’re not doing Scrum right”. A prescriptive process is never the right idea. People have to understand agile principals, what they’re trying to achieve and then adapt as needed. Anyway, thanks for the interesting article. I think it’s important to establish what comes under the umbrella of ‘Agile methodologies’ and what is Scrum, one particular brand of agile methodologies, once you’ve understood that things get a lot simpler. Luis, do you have any statistics? It will be interesting to see correlation between pattern for SM role, company size and years of practicing Agile within the team. Fantastic article long overdue. From a Servant Leader/Scrum Master’s point of view anyway…:) Thank you. I have a good idea where Scrum Masters might come from in the future. Imagine an excellent developer who is also a “people person” and also wants to move up the management ladder (as the technical ladder leads nowhere typically, at least in our country). These people typically get the title “team lead” or “project manager” after maybe 2 or 3 years in the organisation. Fast forward 5 years – they are maybe up the ladder and happy with their responsibilities, but in the back of their minds they regret “having lost their technical edge”. If they were coached to become Scrum Masters instead of “team leads” or “project managers”, they would really, really do great – and they would avoid one important frustration in the future. Interesting note about Kanban etc not requiring a scrum master role, I’ve worked with kanban implementations that opted to use a Scrum Master style empowerment agent / facilitator / coach and also adopted many of the ‘scrum’ ceremonies i.e. regular cadence of stand up / grooming / planning etc. Clearly there are people who value the facilitation, coaching, mentoring and guiding that a good scrum master can bring :-). I liked your article. We have a lot of teams and one of them used to be considered a poor performer. Then they went through a change and today are considered one of the strongest teams. Some people tried to understand why this happened, and I heard all sorts of reasons. I was coaching the team at that time and from what I saw, the fact that they got a new Scrum Master had a major part to play. However, people dont seem to realize or want to admit that – maybe for some of the reasons you say in your article. Recently I asked the Scrum Master what he thought and he said he would do a retrospective with his team to see what they think about this. It will be interesting to see what reasons they come up with for their transformation to a performing team, i.e., if they will mention the Scrum Master. Good Scrum masters pull out the best in people. They enable smooth collaboration and communication in teams and between teams and their stakeholders. Happy teams where people enjoy what they due and get credited. Behind every great team, there’s one or more persons who make them going. It might be their Scrum master. One or more team members. An agile coach. Their manager. In the end it doesn’t matter who it is, as long as it happens and the results are there. It’s a role, which can be filled in in many different ways. Look for great teams, and dive into what makes their performance possible. Look for the practices, not the person. Everybody can do great things with people. Learn from what people do and why they do it and dare to try it with your own teams. That’s my advice (and yes, I do this, and it often works). I agree with Jon McNestrie, you shouldn’t read or talk much about scrum before you meet “you must do these things or you’re not doing Scrum right”. This sentence kind of lead people to think that following Scrum is the goal to pursue, and tend to forget that the actual goal is to become agile. The resistance people have to scrum is often is, in my experience, due to the pursue of getting Scrum right, and therefore totally forgetting the context the team is working in. Others having similar experiences, or do you prefer to “go all-in” in getting Scrum right from the beginning? We can all agree that Scrum is all about becoming agile, but you can be agile without doing Scrum.